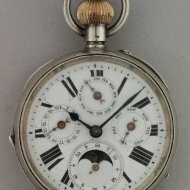 #1476 Silver pocket watch with day, date, month and moonday indication. 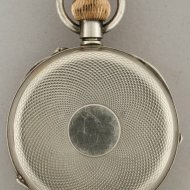 Silver pocket watch with day, date, month and moonday indication. Silver inner and outer case-lids. 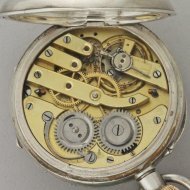 lever escapement.